Meal delivery kits bring fresh ingredients and brilliantly-crafted recipes directly to your door, helping even kitchen novices create great home cooking. 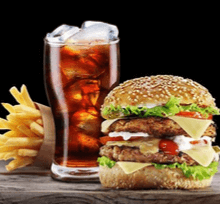 The industry is booming, as consumers see these companies as a convenient, healthy, and affordable alternative to fast food or the same handful of staid recipes most of us have on rotation. Blue Apron is probably the most well-known company in the business, but HelloFresh is making a name in the industry with chef-inspired recipes and premium ingredients. Which is the better option? Let’s break it down and see which meal delivery plan comes out on top. Countless consumers were introduced to the meal kit industry through Blue Apron, which has become something of a synonym for meal kit delivery. And while the company’s shares have taken a beating lately due to moves by retail giants Walmart and Amazon, it still dominates the field. The Blue Apron recipe for success is pretty straightforward - high-quality ingredients, affordable prices, and a wide variety of meal options. *Shipping costs $7.99 for the 2 person, 2 recipes/week plan. All other plans have FREE shipping. 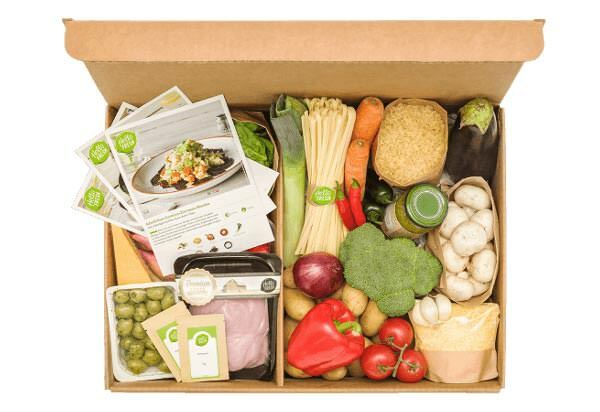 After Blue Apron, HelloFresh​ has the largest market share of the meal kit industry, and it’s not hard to see why. The company offers 15 new recipes per week, 8 for the classic menu, 3 for the veggie plan, and 5 for the family plan. Recipes are crafted through the shared know-how of a team of chefs and dietitians. The company offers a vegetarian-only plan, and says that all of its products are high-quality, seasonal, and sourced from sustainable partners. And speaking of sustainability, if you’re concerned about waste, all of HelloFresh packaging is 100% recyclable. Finally, HelloFresh makes it easy for you to cancel or pause your membership at any time, and never charges for shipping. Blue Apron isn’t just boxing up produce, the company is “building a better food system,” according to the company website. Fully aware that consumers now look for premium quality and reliable sourcing, Blue Apron advertises the extensive partnerships the company has with farmers and sustainability experts to improve standards for the industry and cut out the middlemen between growers and consumers. The company also touts its support of regenerative farming. That all may sound a bit macro and may leave you asking, how does this affect me and what im putting on my plate? Blue Apron ingredients include sustainable seafood recommended by Monterey Bay Aquarium’s Seafood Watch, pork, beef and poultry that are free of hormones or sub-therapeutic antibiotics, cage-free eggs, and GMO-free produce. Many of the ingredients are USDA certified organic as well. “Fresh from the source” is the motto for HelloFresh’s vision, and it’s reflected in the ingredients offered. The company states that it focuses on every step of the journey the ingredients take from the farm to your kitchen in order to make things as environmentally friendly, sustainable, and tasty as can be. 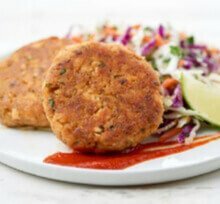 All seafood is sustainably sourced and the company is rated a best choice or good alternative by the Monterey Bay Aquarium Seafood Watch Program. The company states that all meat and poultry is carefully sourced from high-quality farms and is certified as antibiotic free. Both companies make a point of using high-quality, sustainable, and well-sourced ingredients, so you can expect great quality whichever you choose. That said, Blue Apron’s products have more certification, and users note receiving canned ingredients in their HelloFresh orders. Both companies keep things pretty straightforward and simple when it comes to prices. With HelloFresh, both the veggie plan and classic plan cost $9.99 per serving. The family plan on HelloFresh costs $8.74 per serving. All HelloFresh plans come with free shipping. With Blue Apron, the 2-person plan costs $10.99 per serving and $7.99 for shipping if you’re ordering 2 recipes per week. If you’re ordering 3 recipes, shipping is included. With the family plan, it costs $9.99 per serving if you’re ordering two recipes per week, and $8.99 if you're ordering three or more. Shipping is free with any family plan. The difference in per serving cost isn’t huge, but the fact that shipping is always free with HelloFresh puts them over the edge. That said, both companies charge the same per serving cost for vegetarian recipes, which arguably should cost less considering there is no meat included. One of the main draws of home meal kits is that you don’t have to think of something new and interesting to make. The meal kit company supplies the ingredients - and the inspiration. With Blue Apron, the available meals are very appealing and easy to make, but the options are fairly limited. If you have the 2-person meal plan, you can pick from 6 different menu options per week, and only 4 if you’ve ordered a family plan. Browse recipes by season or main ingredient and mark which types of food you can’t eat, in order to filter the browsing results to display menu options that you’ll actually eat. A real plus for Blue Apron is that the company puts an effort into making things easy. It provides online cooking tutorials sorted by specific recipes or just involving general cooking tips, so that any user can make the meals look as close as possible to how they look online. When it comes to menu options, HelloFresh has 3 main plans - classic, vegetarian, and family. HelloFresh also offers 1 premium and 1 “hall of fame” meal a week (a recipe that customers rated especially high). This is in addition to a breakfast option once a week. Recipes are crafted using the input of chefs and dietitians, who create 15 new recipes per week. With the classic plan you can filter the recipe options into the categories “fit,” “quick,” and “variety.” Fit recipes are the most nutritious, quick are the easiest to make, and variety have more rare and adventurous ingredients. Perhaps the most appealing aspect of the HelloFresh menu is that all recipes are only 6 steps, and come with very easy instructions. Though Blue Apron does take steps to keep things simple, HelloFresh takes it further with 6 step recipes that any novice can whip up. Also, when it comes to meal selection you get more options per week with HelloFresh. For most consumers, price and convenience aren't the only concern, and the environmental impact and sustainability are a real priority. With Blue Apron, there are 2 main ways you can recycle the packaging. Place the packaging - including ice packs, liners, bags and containers - in a Blue Apron box and leave it with your normal cardboard curbside recycling. If there is no curbside recycling in your area, Blue Apron provides an easy way to search for the nearest recycling facility near you. You can also opt to return the packaging to Blue Apron for free by ordering return labels. The company sends you these labels and you can use them to ship the empty packages back to the company for free. You also have the option either to drop off the packages at your local post office or you can schedule for the company to come pick up the packaging from your house. With HelloFresh, the box is made of recycled and virgin fiber cardboard and you can just fold it up and leave it out with your recycling. The kit boxes, separators, insulating liners and ice packs are all easily recycled as well. While HelloFresh does use fully-recyclable boxes, Blue Apron simply provides more ways to recycle through the pick up and free shipping/return options. One of the things that can make it hard to take the leap on a subscription service is the likelihood that you’ll have trouble cancelling the plan if you decide to later on. Luckily, with HelloFresh, you can pause or cancel your subscription at any time with just 5 days notice. All you need to do is let the company know you’d like to cancel or skip a delivery week before the weekly cut off, so you aren't on the hook for the next order. Skip a week of delivery at any time and schedule the service pause up to 8 weeks in advance. With Blue Apron you can skip any meal order up to 5 weeks in advance. The company also allows you to cancel your subscription any time, but you’ll need to do it at least a few days before the next delivery date or you’ll be required to pay for it. 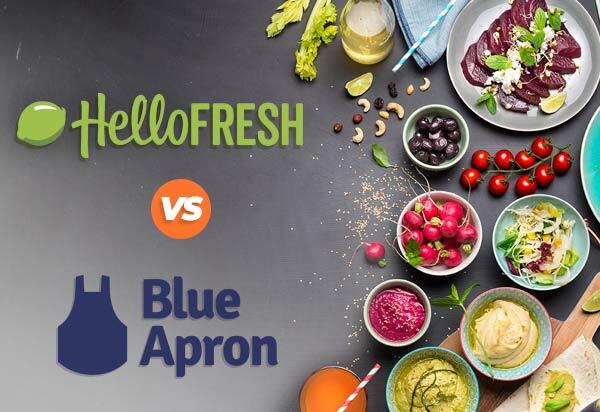 Both Blue Apron and HelloFresh give customers the freedom to decide when they want to stop the service, no strings attached. HelloFresh gets the edge though, because you don’t need to give them as much notice to cancel, and also because the company lets you pause a meal delivery further in advance than with Blue Apron. This was no blowout. 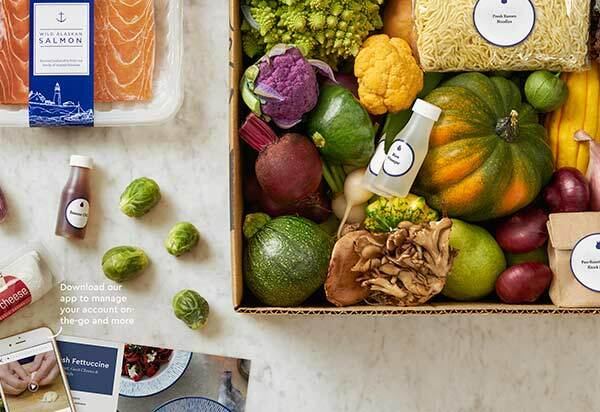 Blue Apron is in many ways the face of the meal delivery industry, and the company provides variety, premium ingredients, and a real commitment to sustainability. 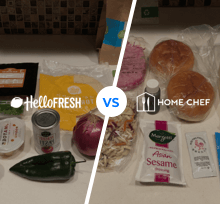 Nonetheless, while both companies offer premium ingredients and exciting menu options, HelloFresh gets the nod in this head-to-head. HelloFresh offers a better option for vegetarians in the form of a dedicated meal plan specifically geared toward vegetarians. It provides recipes with only 6 steps or less, and offers free shipping across the board.